More on the AVF Como 55 in. 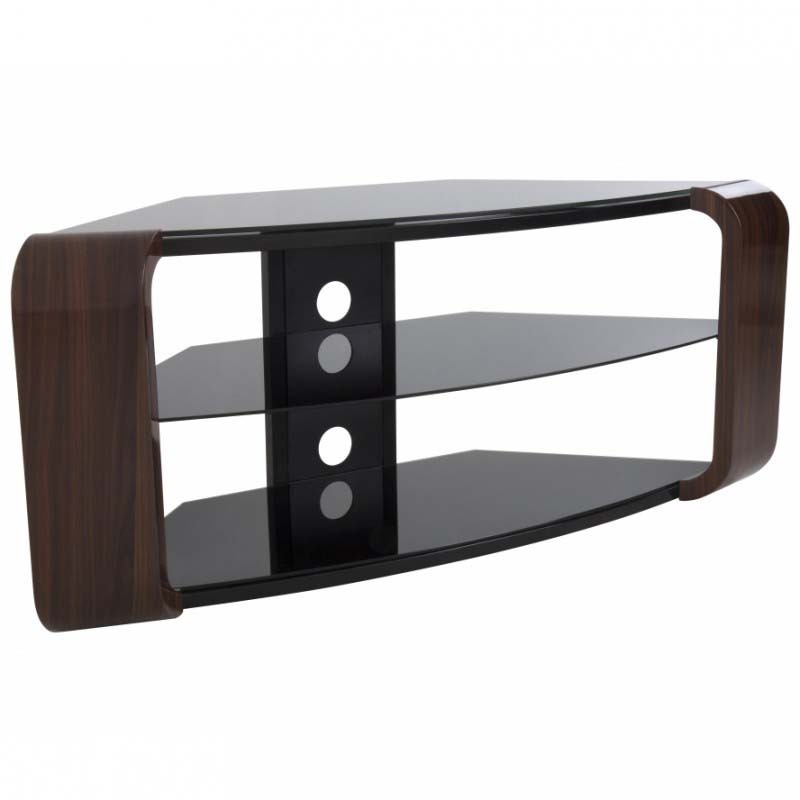 Corner TV Stand (Glossy Walnut) FS1174COW-A below. 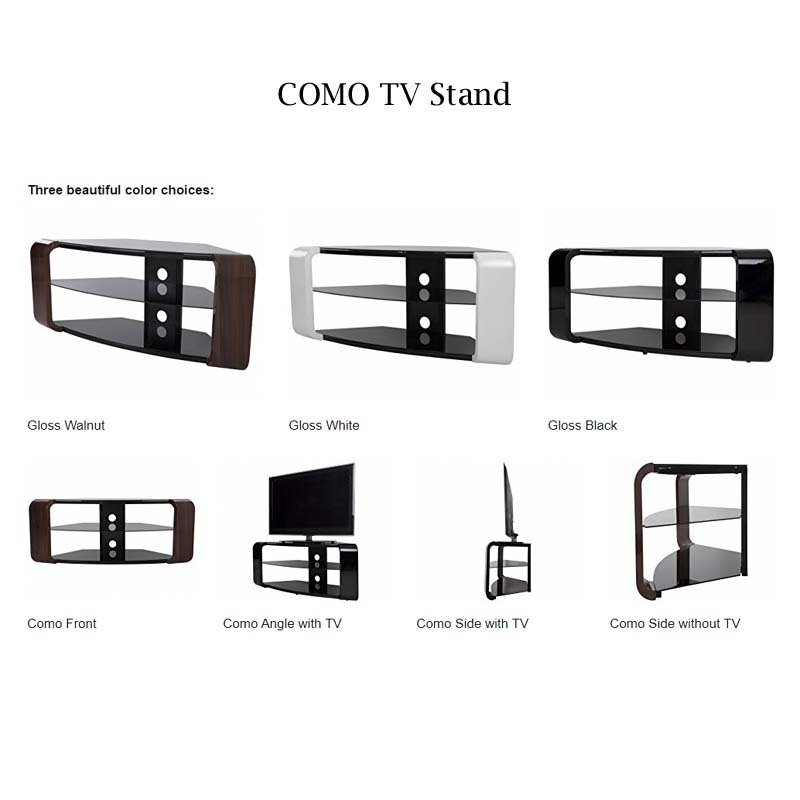 The Como Corner TV stand is a beautiful and stylish solution for your contemporary home, available in three stunning color choices. 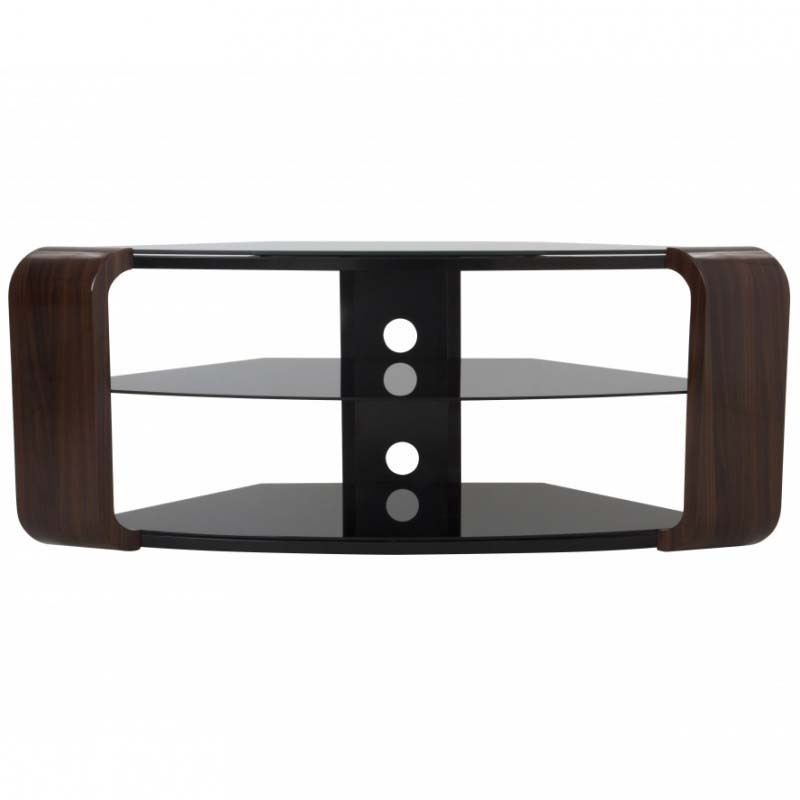 Glossy Black with black glass, Glossy White with black glass, or Glossy Walnut with black glass. 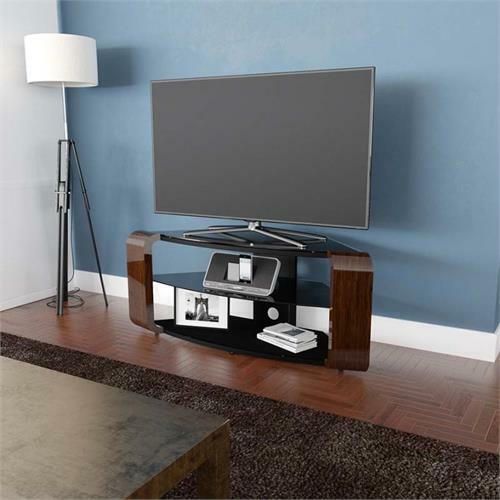 The versatile corner friendly design means it can either be placed flat against a wall or into a corner of your room, providing ideal viewing angles for a larger area. The two lower shelves are perfect for your various Audio Video components such as Digital Receivers, DVRs, Blu-ray, or Gaming Consoles. Cables can be routed via the built-in cable management with entry and exit points along the length of the column so that all your power and connectivity leads can easily reach your equipment in a neat and organized fashion. 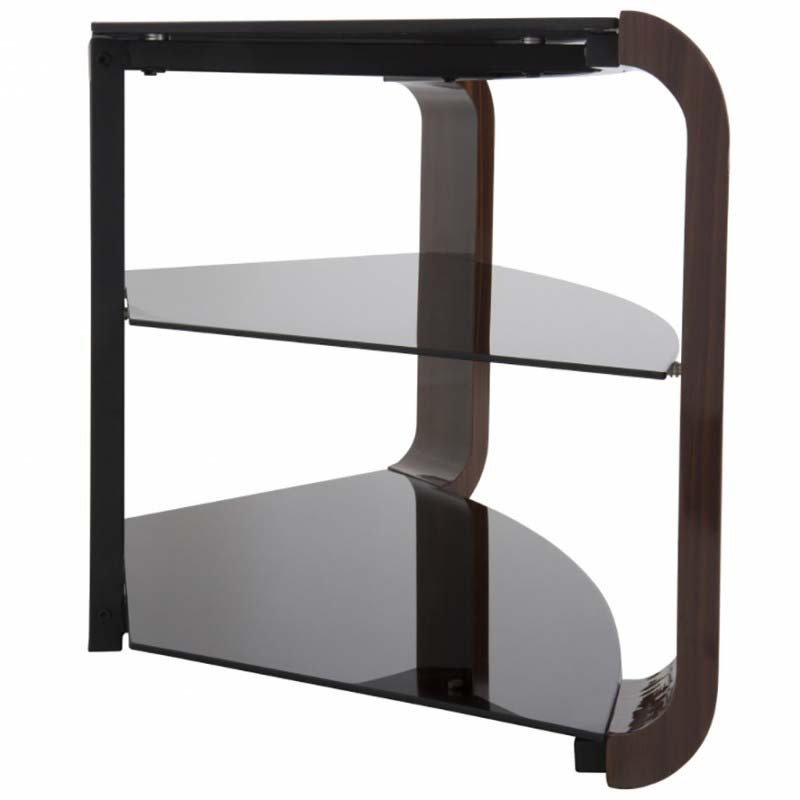 Also available in Black/ Glossy Black or Glossy White with Black Glass finishes. See related products below. Click here for an informational Tech Sheet.